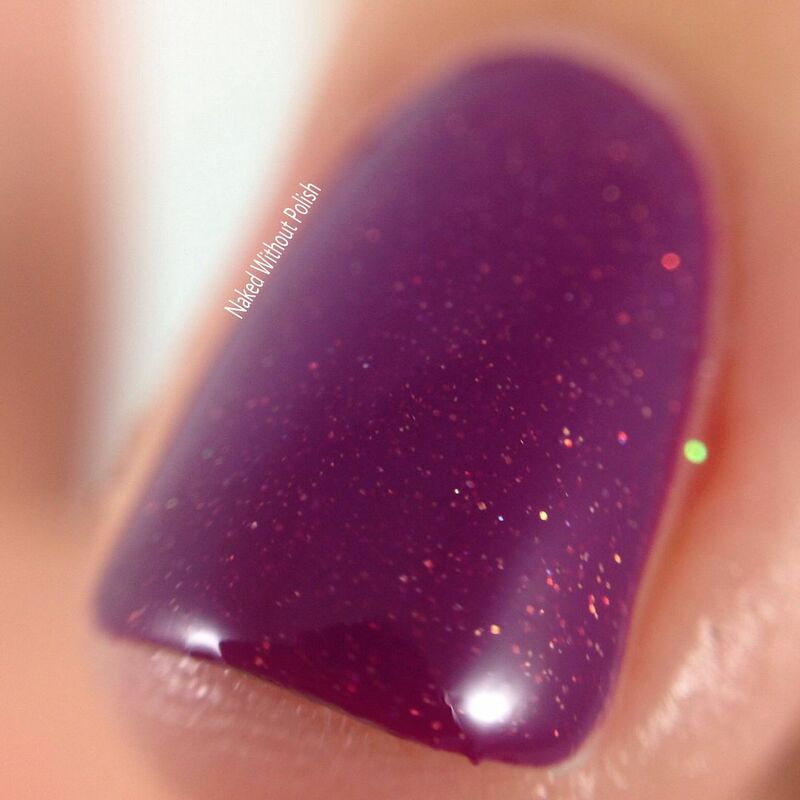 Alexandra is a beautiful red toned purple scattered with gold micro flakes, and holo shimmer. 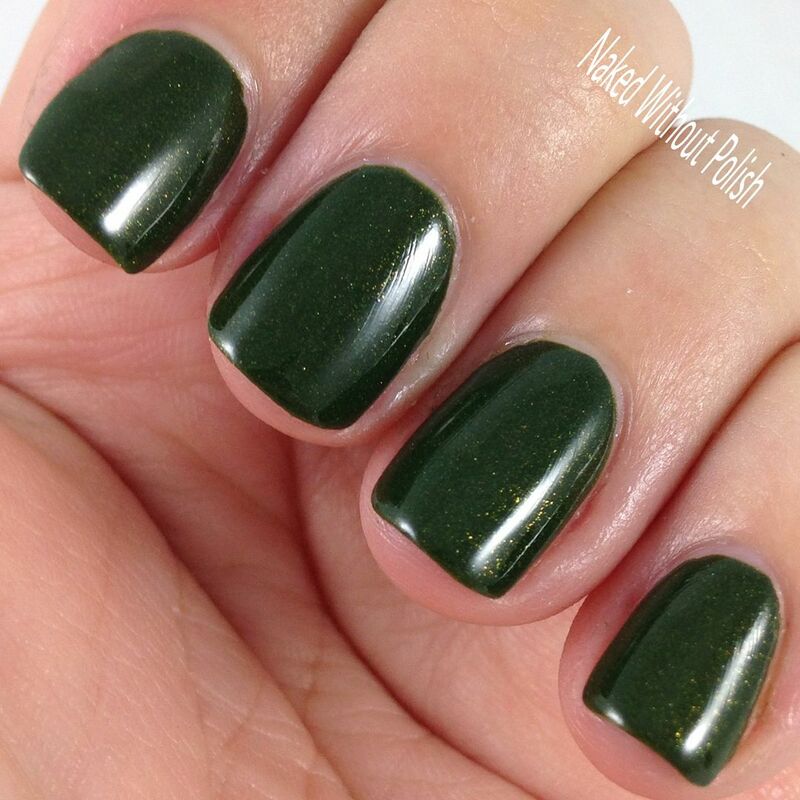 Shown is two coats of Alexandra with top coat. 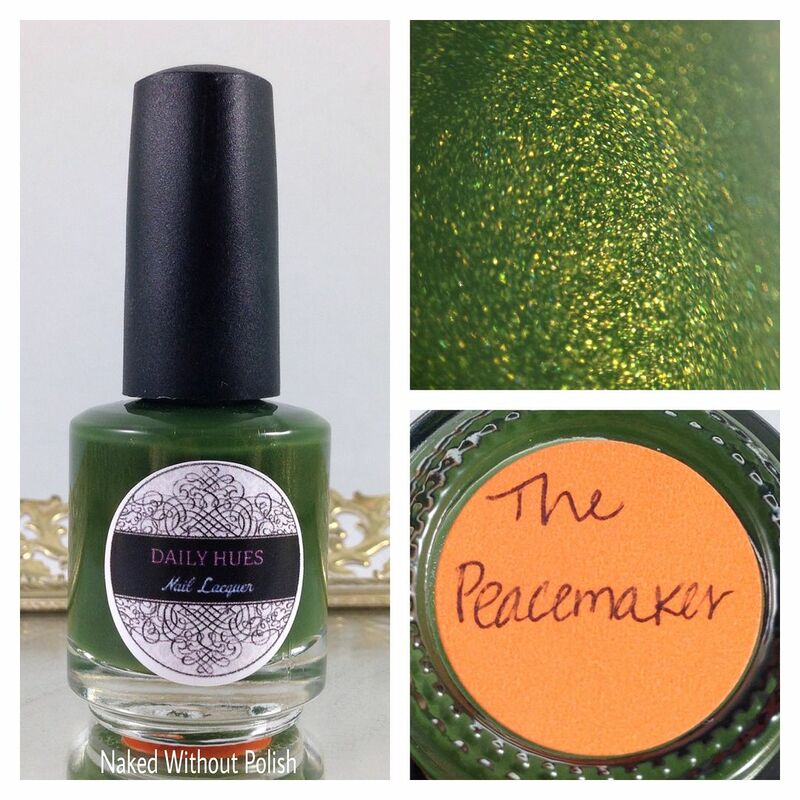 The Peacemaker is a rich, blacked, olive green with green and gold shimmer. 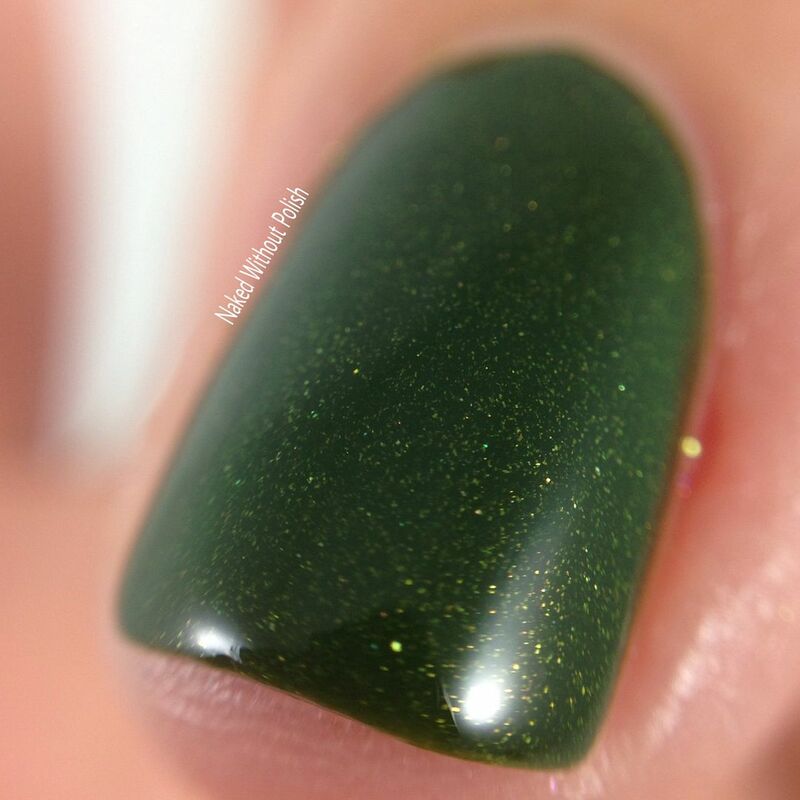 Shown is two coats of The Peacemaker with top coat. 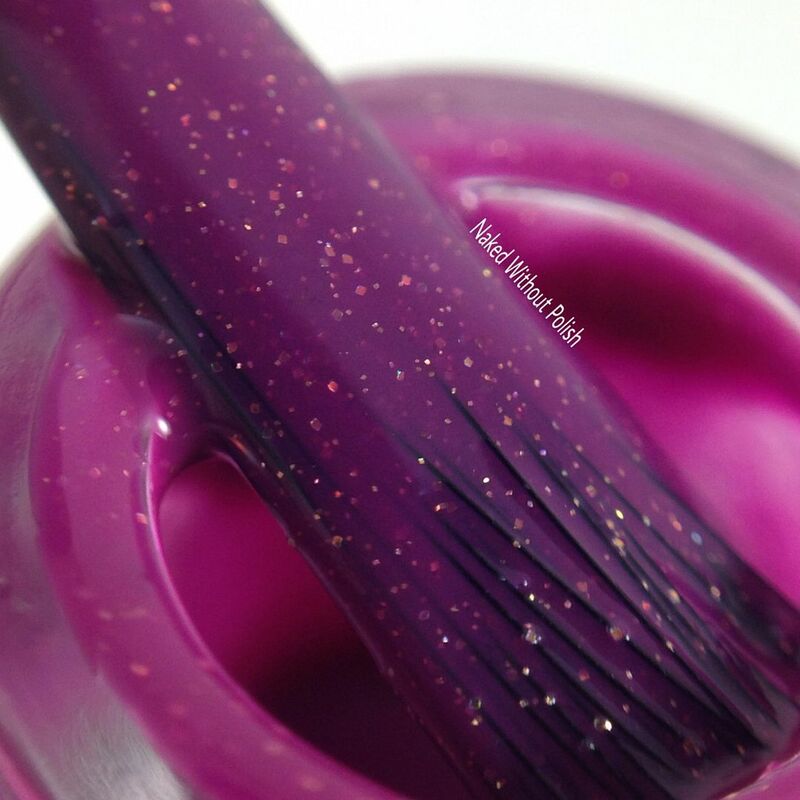 Both of these polishes had flawless applications and formulas. 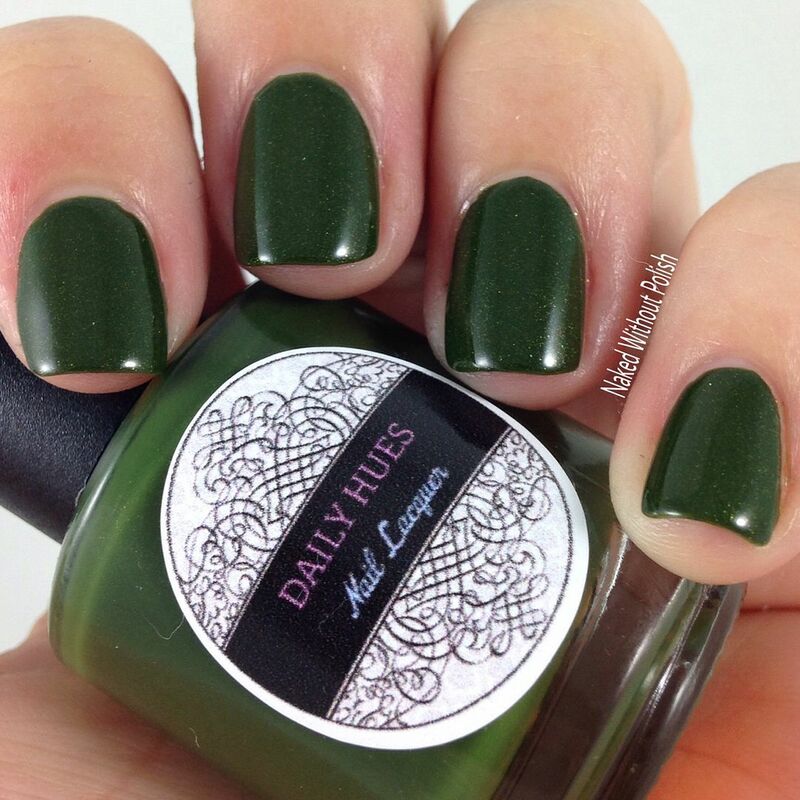 I'm really going to miss Daily Hues Nail Lacquer. There is a chance she isn't gone for good. She's going to be focusing on finishing school and her promotion. When school is over next fall, she might look into rebranding and getting back into the game. We still have hope! Trust me, if she reopens her shop, you'll probably hear it from me first. I'll be screaming it from the rooftops! 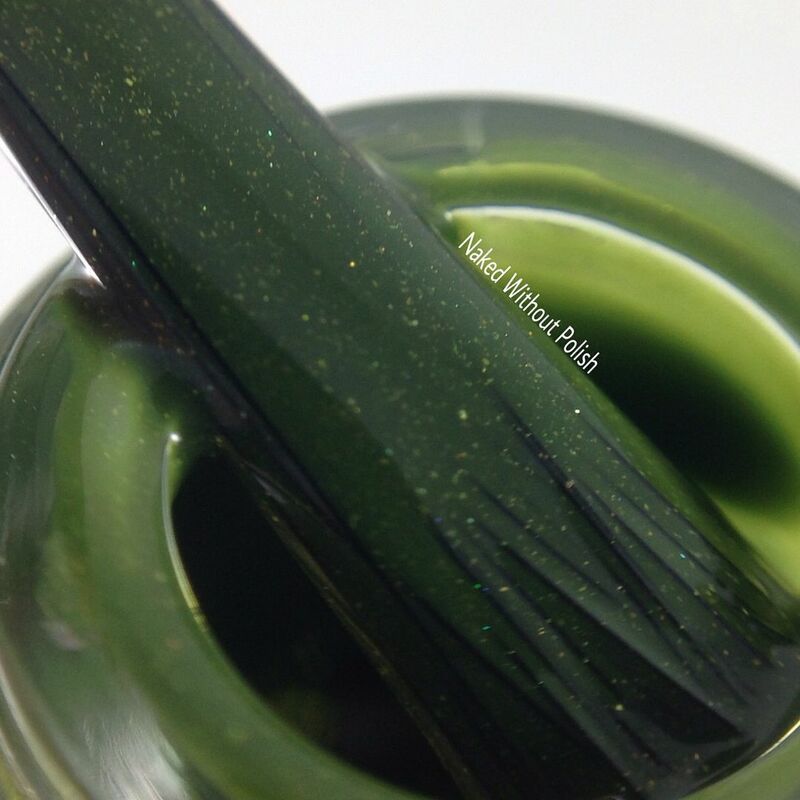 Even though she isn't selling anymore, make sure you are still following Daily Hues Nail Lacquer on her social media platforms (links below) to stay updated on news, releases, and sales. She will still be sharing her manicures and staying involved in the community. Were you able to grab either of these before they were gone? I feel for those who missed out. These are just beautiful!